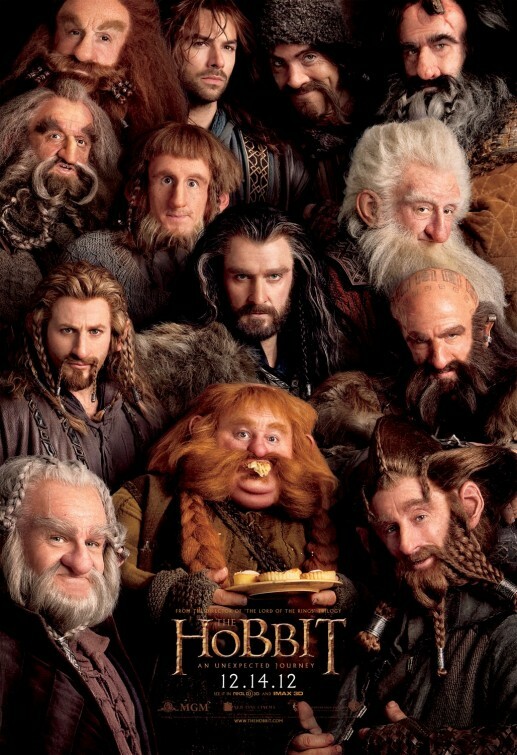 “The Hobbit: An Unexpected Journey” is not a good film. It’s not a disaster, but it’s just not a good film. You may enjoy it for various reasons, and it may satisfy your personal needs and whims. I do not begrudge you that experience, but it is not a good movie. 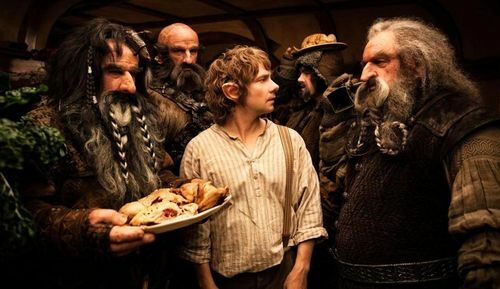 I have read “The Lord of the Rings” and “The Hobbit,” I enjoyed the trilogy, but personally found “The Hobbit” a bit precious and twee. However, I do understand a respect the world that Tolkein created. I understand the depth of lore and history that Mr. Tolkein dreamed up that give his stories a taste of realism. 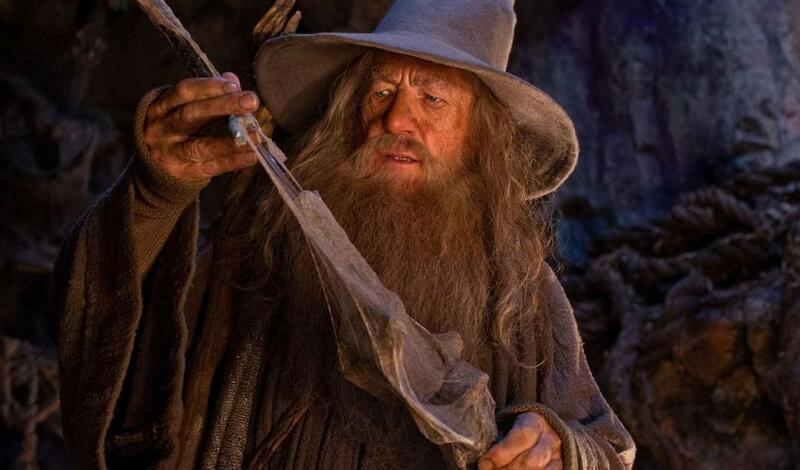 However, what Tolkein understood, and Peter Jackson, Fran Walsh, Phillippa Boyens and Guillermo Del Toro clearly do not, is that history and lore should be there to illuminate a story, rather than being part of it. If you are a Tolkeinite, and view Jackson’s films as fodder for a checklist of elements from Tolkein’s books, you’ll probably be in heaven. I understand that for a portion of the devoted fanbase, seeing Radagast the brown (Sylvester McCoy) and his sled pulled by rabbits is VASTLY exciting. Watching Galandriel (Cate Blanchett), Saruman (Christopher Lee), Elrond (Hugo Weaving) and Gandalf (Ian McKellan) discuss the rise of the Necromancer (i.e. Sauron) and impending danger to Middle-Earth is pretty much crack. It just doesn’t belong in this movie. The harsh truth is that this stuff has absolutely nothing to do with Bilbo’s journey with Thorin Oakenshield (Richard Armitage) and the dwarves to the Lonely Mountain to confront Smaug the dragon. Worse than that, the general audience is left feeling like the major players in the story they are supposedly here to enjoy are paper-thin and under-baked. 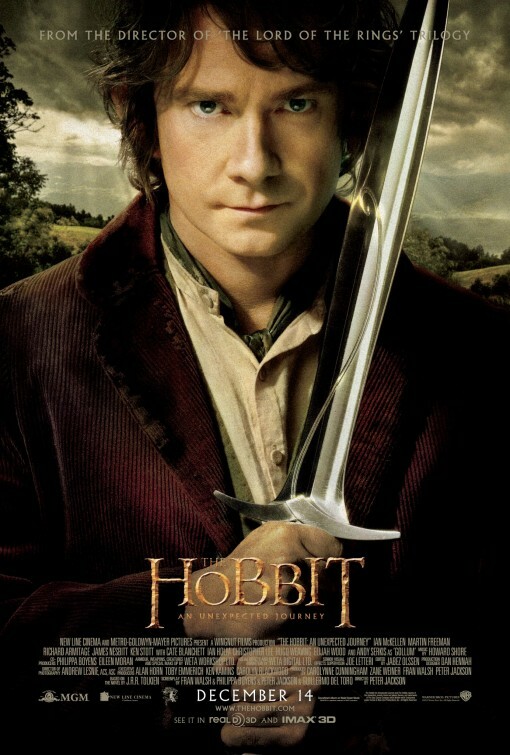 Bilbo (Martin Freeman) is damn near a cypher in this film, with only one speech, almost two-and-a-half hours into the damn thing, to finally give him some motivation. 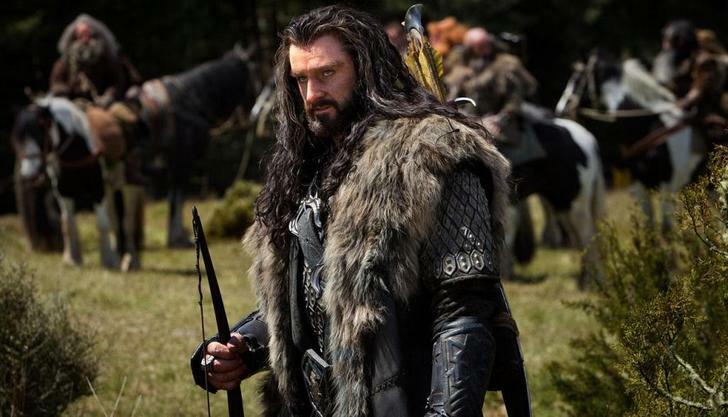 Thorin? Plays out like a less-interesting, shorter clone of Aragorn. The rest of the dwarves are less characters, and more collections of prosthetic make-up (Tolkein’s rhyming names help not at all). In Jackson’s rabid attempt to make this story epic enough to justify a nine-hour (when all is said and done) running time, that he forgot to make us give a damn about the small story, and the characters, at the center of it. Oh, yes, yes, Bilbo does manage to steal The One Ring out from under the nose of Gollum (once again played by Andy Serkis, in a smashing scene, I’ll grant), but none of the characters in The Hobbit understand the import of what has happened. One of the major problems here is that Jackson and crew seem intent on making damn sure the audience understands the macrocosmic importance of what’s happening, but the characters, just due to how they react in The Lord of the Rings, can’t, EVER, understand it. The greatest sin, however, is simply this; watching “The Hobbit: An Unexpected Journey” isn’t any fun. At all. You’re either trying to remember who each character is, or wondering why you should care. It feels like a history lecture by a professor who is deeply in love with what he’s talking about, but so self-involved about it that he can’t just tell the story, and make you involved with it. This first film already felt nine hours long. Even with the 34 endings of “The Return of the King,” I was never bored. Embarrassed, maybe, but not bored. “An Unexpected Journey” trumps that with 3 or 4 openings. Including a return by Ian Holm as the older Bilbo, and Elijah Wood as Frodo, that only serves to remind you of much better movies that you realize, as the running time trudges onward, this film will never live up to. I’m not going to sit here and lie, I’ll be seeing the other two films. If nothing else, I want to see the dragon. I’ve also got little bad to say about the performances, everybody plays what they’re asked to by this sub-par adaptation well enough. The film itself is also quite pretty, if overindulgent (who’d EVER guess that) in the New Zealand travelogue imagery. Why one shot, or even two, of the tiny men running in front of mountains, when we could have five? There are things here that are worthwhile. It’s just muddled. Muddled to the point where the story that’s supposedly being told here, “The Hobbit,” gets sidelined and lost. If you want to argue that it’s not just telling “The Hobbit,” but also “untold tales of Middle-Earth,” or whatever. Then it’s just a TERRIBLE script that doesn’t have any idea what it’s trying to be, or how to tell that story effectively to an audience who isn’t clutching a copy of “The Similarion” for reference. All I want is a home-video cut, akin to the much-lauded “Extended Editions” of “The Lord of the Rings,” but, instead, shorter. A “Just The Hobbit” cut. My guess is, about 30 minutes of this 2:45 film would survive.